My brain is fogged. I’ve been driving for two days straight with minimal sleep, after two previous days of driving as well. I’m only ~250 miles from my journey’s end, but I really felt the need to get out of the car. So here I am, sitting in a Burger King somewhere west of Boise, Idaho, sipping on a cold coke zero, munching on some terrible onion rings, and scrolling through my Facebook newsfeed to just give my brain a rest. How did I get here? It has been a very busy June and early July here at Chez Goolsbee, so apologies for the lack of updates. The day after Nick Graduated he and Chris hopped in the car and drove “home” to Washington state where they visited friends. 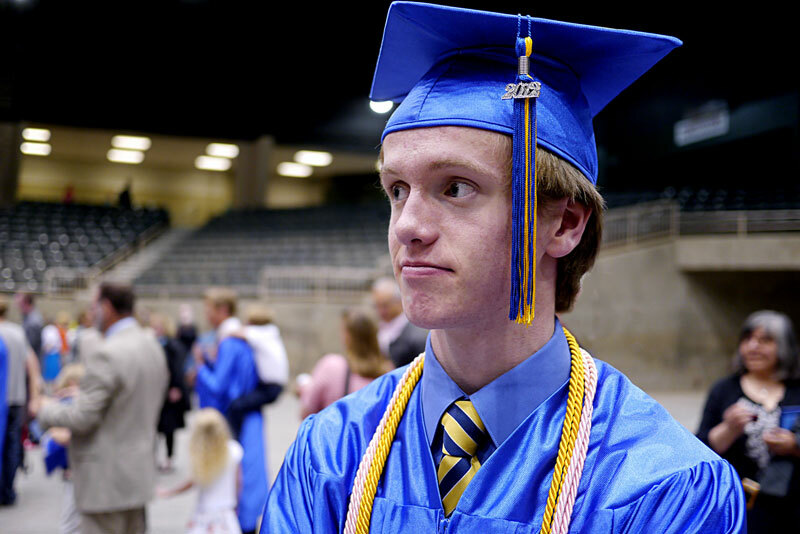 Nick was able to attend the AHS Graduation ceremony where he would have walked across the stage had we not moved to Oregon. Christopher went to Seattle and took the LSAT test for entrance into Law School, afterwards he visited friends. 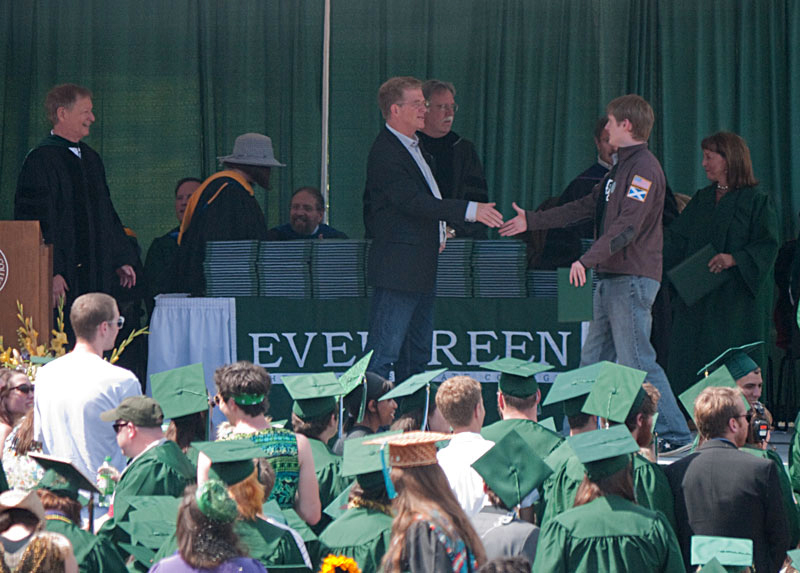 Sue & I dashed up to Olympia on Friday, June 15th to watch Christopher participate in graduation at The Evergreen State College. He completed his degree in March, but the ceremony took place at the end of the Academic Year. Like all things at Evergreen the event was filled with unbridled enthusiasm and energy – along with a healthy dose of chaos. It was wonderful. 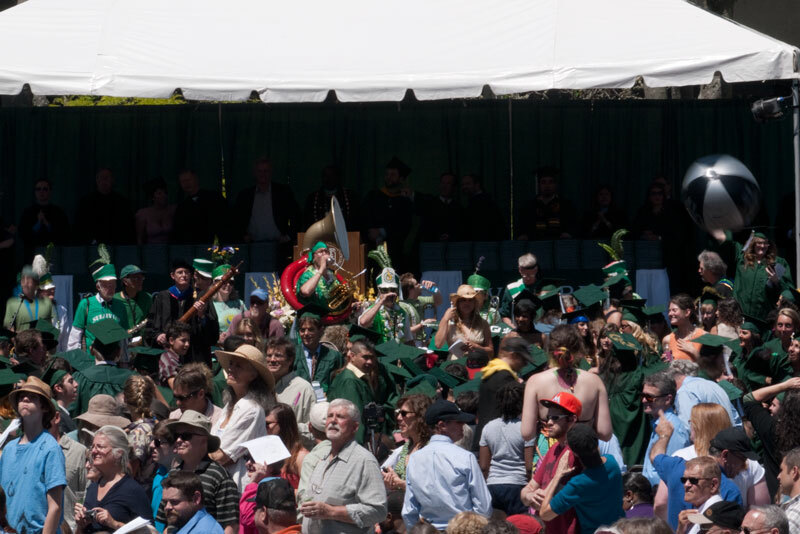 The day was sunny and beautiful, and we were all there to see Christopher receive his Degree. 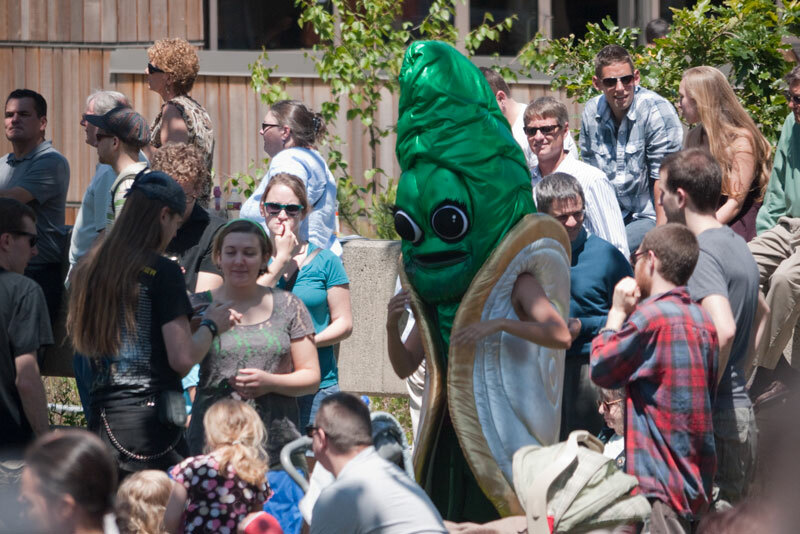 TESC’s mascot is the Geoduck and the school’s motto is “Omnia Exteras” (look it up) and the day was as out there are unrestrained as every other graduation is dull and constrained. Everyone just smiled and enjoyed it, including the school administrators and staff. 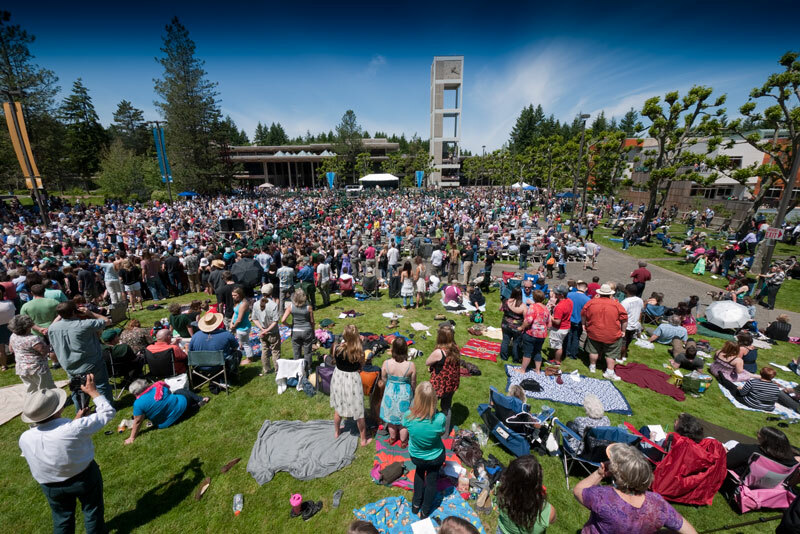 The commencement speaker was PBS travel show host Rick Steves (of Edmonds, WA) and he delivered a passionate oratory on living life and seeing the world. Author chuck goolsbeePosted on July 7, 2012 November 24, 2012 Categories Goolsbee News2 Comments on Christopher Graduates! Dynamics for the last time. Nick will be attending Oregon State University in Corvallis in the autumn. Today he & Chris are driving to Washington – Nick will be visiting his friends in Arlington, and Chris will be taking the LSAT test at the UW in Seattle. 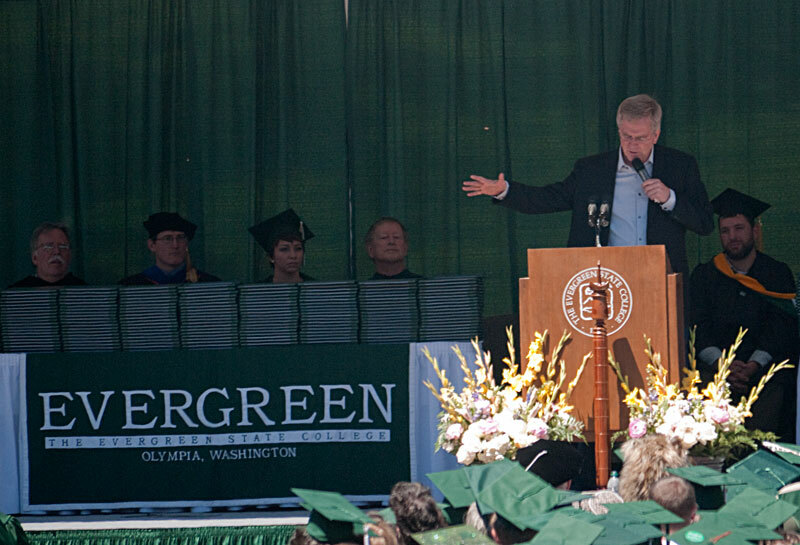 On Friday we’ll all be in Olympia to watch Christopher graduate from Evergreen State. Congrats Nick, we’re very proud of you. 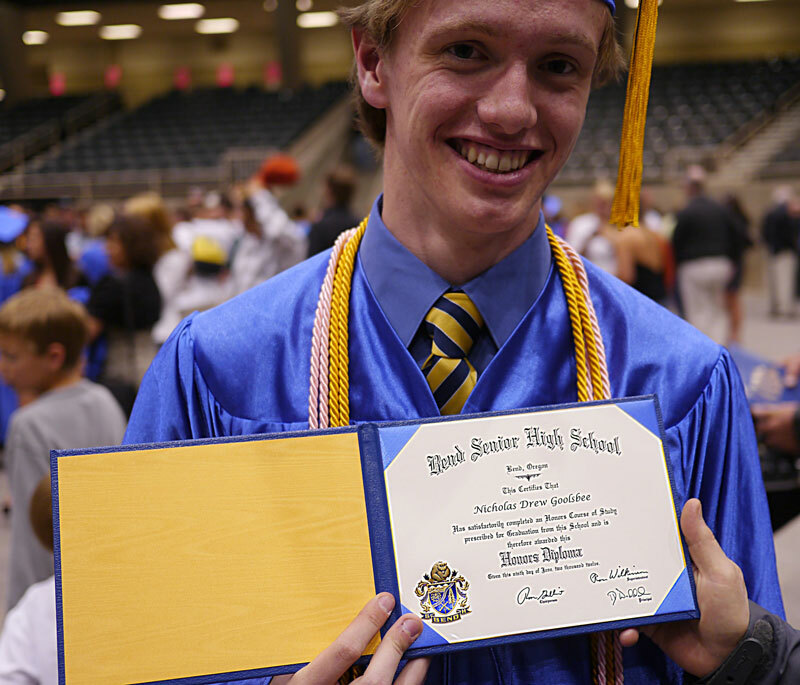 Author chuck goolsbeePosted on June 10, 2012 June 10, 2012 Categories Goolsbee News3 Comments on Nick Graduates! As some of you know, digital.forest was acquired earlier this year. While my payout as a stockholder wasn’t “retire now” in scale, it has allowed us to upgrade the Goolsbee fleet. First and foremost I set out to buy Sue a cruiser to help her sore back and smooth out her hectic driving schedule with something super-comfy. We test-drove a lot of mid-range machines, and she settled upon a Mercedes-Benz C300. It took me a month or so to find the right one, at the right price. She now enjoys a 2009 C300-4Matic. It is hands-down the best car we’ve ever had in the Goolsbee garage. VERY comfortable, and drives super-smooth. This means her 2006 Jeep Liberty CRD is now for sale. Christopher finished school at the end of the winter quarter, and is now preparing for law school. Since he loves the car and learned to drive in it, I’m giving him the TDI. It for him will be like the ’80 Diesel Rabbit I drove when I was his age – a great, reliable, frugal first car. 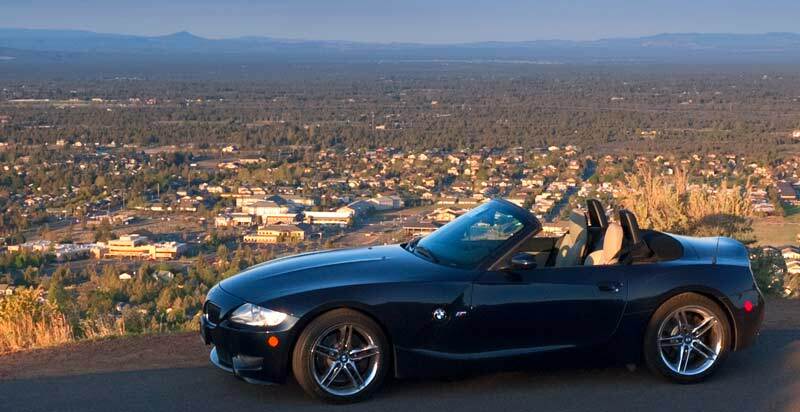 After the wonderful experience of hucking the ClownTown Roadshow’s old E30 BMW around the track now twice – with every lap bringing a grin to my face, I figured I owed a look at the Z3/Z4 line of cars. A coworker at Facebook loaned me the keys to his 2006 M Roadster while I was in Menlo Park for meetings several weeks back and halfway through the drive I decided this would be my next car. I decided upon a color & trim choice (blue exterior, grey/wood interior) and went hunting. Autotrader turned up a few, as did eBay, but then I was referred to a car broker in the Bay Area. The idea is you tell them what you want, and about what you will pay. I knew what I wanted, and my shopping gave me an idea of what the fair market value of these cars are now, so I laid it out for the broker. He found me one in SoCal within a few days, and now the car is mine. Totally painless process. I highly recommend it over trying to buy on your own. The car is a 2007, has ~33k miles, and is REALLY nice.